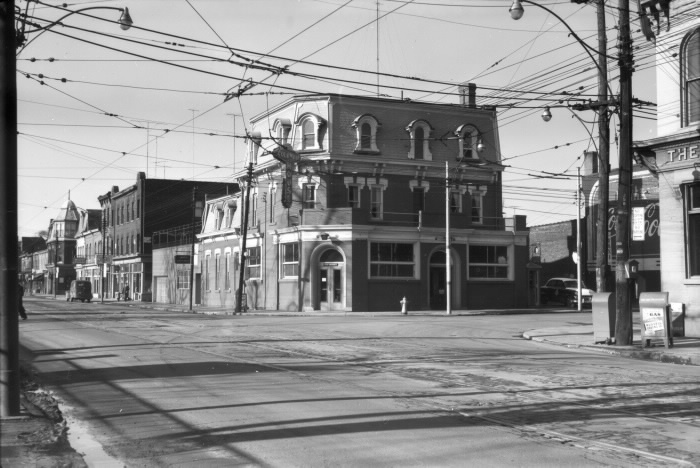 Here is a photo from January 2, 1955 of the Columbia Hotel from the Toronto Public Library, which sat on the NW corner of Queen St West and Ossington Ave. I searched but could not find any historical information about the hotel. Below are two photo's, a black and white plus a coloured one which were taken today at noon. The old hotel is gone but the buildings that run behind it along Queen St W seem to still all be there.